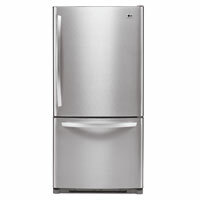 For an elegant, no-frills refrigerator with plenty of space, the LG LTC24380 does not disappoint. 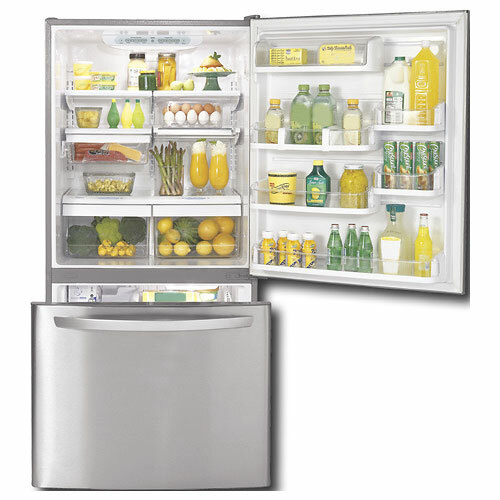 We were pleased with how much capacity this fridge possesses with a relatively small footprint. The ice maker is compact and does not produce ice crystals, meaning less mess to clean up. The LED lights are bright; our only complaint is that there are none located in the back of the fridge. Regardless, the refrigerator has ample space both on its shelves and in its door bins; even better, there are no hard-to-reach areas. The LG LTC24380 is available for $1034.99.